Elegant and top-of-the-line, Affirmation Oaks is James Island's premiere address. The quaint neighborhood is positioned conveniently near Harbor View Rd., as well as Affirmation Blvd. With less than twenty families calling this little community home, it truly is one of the Charleston area's best kept secrets. One street houses all of Affirmation Oaks' residences in a naturalistic setting which features its own, lucid pond. Residents can spend their days sipping sweet tea on their front porches, while secure behind a curtain of trees. 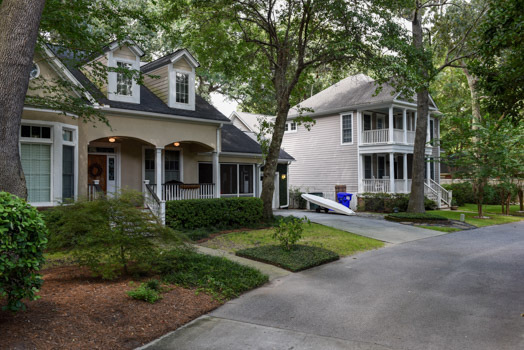 The James Island Connector transports Affirmation Oaks' homeowners to central Charleston, where every historic structure and street is bursting at the seams with stories to be told. Also within a few minutes' drive is the famed Folly Beach. There, visitors can waste away on the pier with a fishing rod, lounge on the oceanfront or watch their children frolic and play in one of two public parks. 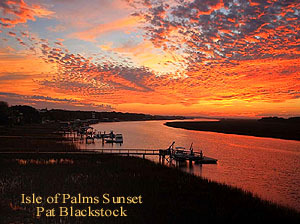 Also in Folly Beach are some phenomenal eateries, offering up fresh catch seafood and other low-country fare, and a pavilion. Closer to Affirmation Oaks are multiple supermarkets and banks, gyms, and a movie theater. Schools are also in abundance in the vicinity of James Island. Given the location, real estate in Affirmation Oaks is considered a steal, with prices starting in the $400,000 range and peaking near $600,000. Homes are extremely spacious, with the majority of them being around 2,500 to 3,000 sq. ft. Lots average in the very manageable amount of .16 acre. Inside of the homes, buyers are met with high ceilings and intricate molding. Stainless steel appliances are a fixture in gourmet kitchens adorned with granite countertops. With the earliest construction in Affirmation Oaks having took place in 2004, all homes are modern and feature much curb appeal. Call us for a tour of this fine community.